Prevention is the best strategy. Pets allowed outside and off-leash can and will get lost. Even leashed pets can slip their collar if it's not properly fitted or if they get excited. Indoor pets will make a mad dash out the door. Pets dig out of fences or climb them. Despite our best efforts, some pets will get lost. 1. Have a properly fitted collar with an ID tag. We are always amazed that owners don't do this one simple thing that can save so much heartache. 2. Have your pet microchipped. By law, all NC animal shelters should scan incoming pets for microchips. 3. Spay or neuter your pets. Altered pets are much less likely to escape & wander if they're not compelled by hormones to search for a mate. 4. Use chest harnesses when walking your pet. Yes, you CAN use them for cats too! 1. Immediately put out food, water, and a smelly item such as your pet's bed, their favorite stuffed toy, or an article of your clothing where your pet was last seen. The scent can help them find their way back home. If the location is not at your home, check back at that location frequently. 2. Read THIS for information on lost cat behaviors that may help you recover your cat. 3. Get the word out with flyers with a good picture of your pet and a phone number. It is not necessary to post your name on the flyer. Remember, not everyone's on Facebook/Twitter! Great instructions for how to create EFFECTIVE posters & flyers: HERE. 4. If you go door-to-door, be very cautious approaching homes you don't know and always have someone with you. Door hanger template HERE. 5. Report your pet missing ASAP. If you live in/near Lenoir County NC, call our shelter during business hours to file a missing pet report. It's very helpful if you can visit to look for your pet yourself, and bring a good photo of your animal to attach to the report. Otherwise contact/visit your local and adjacent county animal shelters to file a missing pet report, call county animal control departments to ask if they've picked up your pet, and local vet offices to see if the staff has heard any info about your pet (they may have a 'found' flyer on their bulletin board, or may remember treating your pet recently). If you have an adventurous dog such as husky, hound, or retriever, you may need to extend your search area to a 50 mile radius from where your pet was last seen. Send them a photo, description, and your contact info. Since you know your pet better than anyone, VISIT your local animal shelters every few days to look for your pet. Lenoir County SPCA: 252-520-0003, Monday-Saturday noon-4 pm. Lenoir County Animal Control: 252-526-4200. 6. Post an ad on the pets and lost/found sections of Craigslist. 7. Contact the Kinston Free Press or your local newspapers and place a lost pet ad. 8. We'll post your pet on our Facebook page if you live in Lenoir or adjacent counties. Send us a message through our Facebook page with a photo, brief description, where & when the pet was last seen, and a contact number for you. Monitor the post for updates. 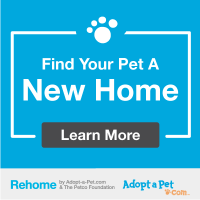 Let us know when your pet is back home. 9. Post on lost/found pet social media sites such as Facebook's Lost & Found Dogs-NC and monitor posts for updates. 10. Always protect your personal safety and personal info when dealing with the public & utilizing social media.